There comes a moment in history when the time stops. 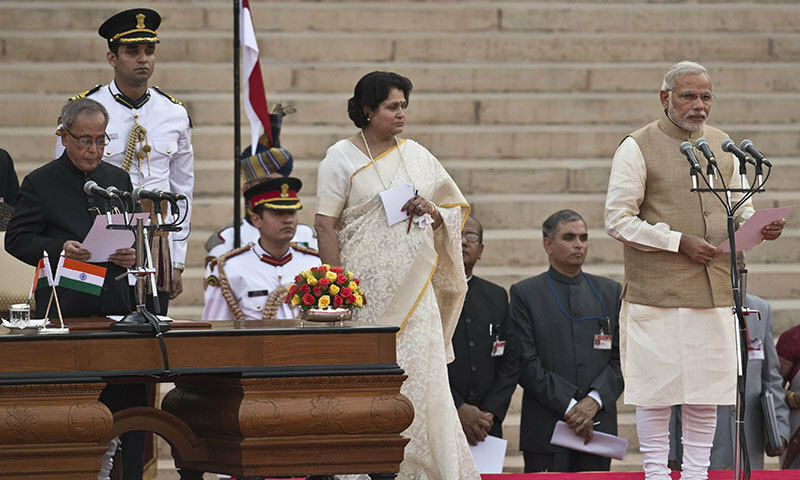 It indeed came to halt for the 1.3 billion Indians and hundreds of millions around the world as Shri Narendra Modi took oath of Prime Minister of India on the afternoon of 26th May 2014 at Rashtrapati Bhavan, New Delhi. As the entire country, global leaders, Heads of SAARC countries, media contingent and the entire world witnessed the history unfolding, along with Indians, OFBJP Australia awaited with abated breath. 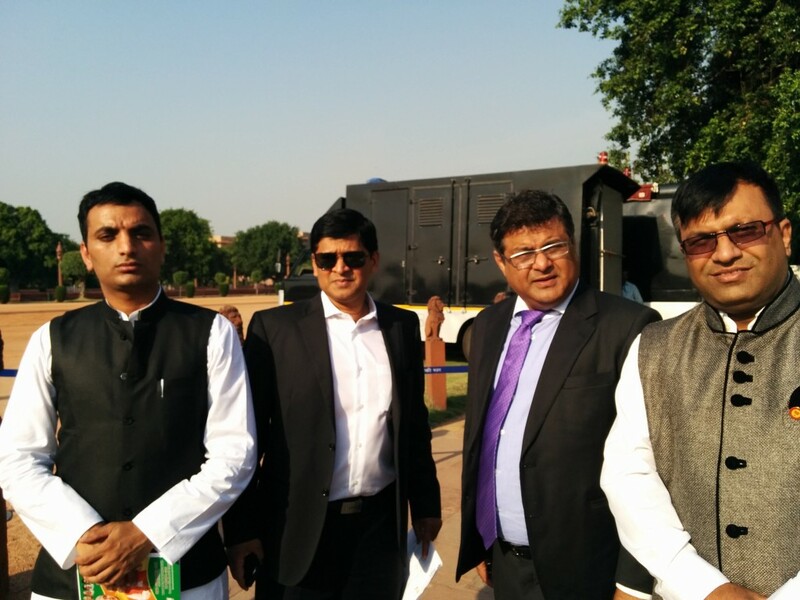 The reason is OFBJP Australia had the opportunity to be physically part of the historic event unfolding at Rashtrapati Bhavan. Among the four thousands guests invited, which included eight heads of governments, were two proud representatives of OFBJP Australia – Shri Balesh Dhankhar, President, OFBJP Australia and Shri Rahul Jethi, Convenor, OFBJP Australia. It’s a matter of immense proud and humility that representatives of OFBJP Australia were invited for the Prime Minister’s oath ceremony. OFBJP Australia, despite its short but intensive journey, has provided just the kind of support that is expected of BJP workers. Evidently, OFBJP Australia’s commitment and earnest contribution is being recognised by BJP by the formal invitation. 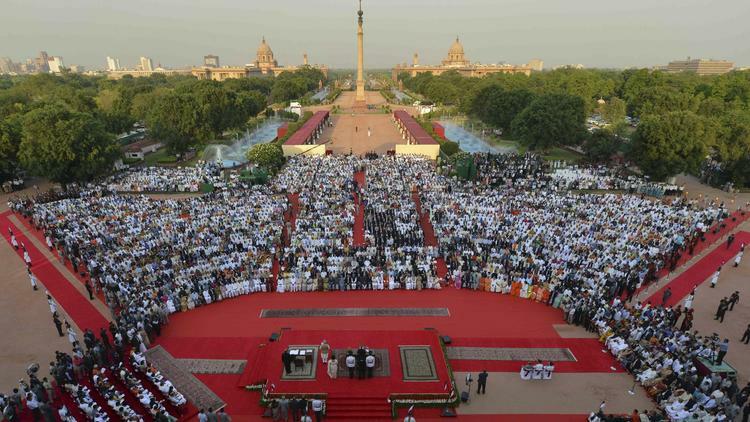 Many believe it is the second independence for India. OFBJP Australia shares the sentiment and firmly believes under leadership of Narendra Modi, Bhartiya Janta Party is going to script glorious future for India. On this pious occasion, representatives of OFBJP Australia visited homes of BJP stalwarts Shri Venkaiyah Naidu and Shri Murli Manohar Joshi. They were extremely gracious hosts and congratulated OFBJP Australia for its labour of love towards BJP. Relationship with Shri Venkaiyah Naidu goes back to the time when OFBJP was in infancy and finding its mark in Australia. 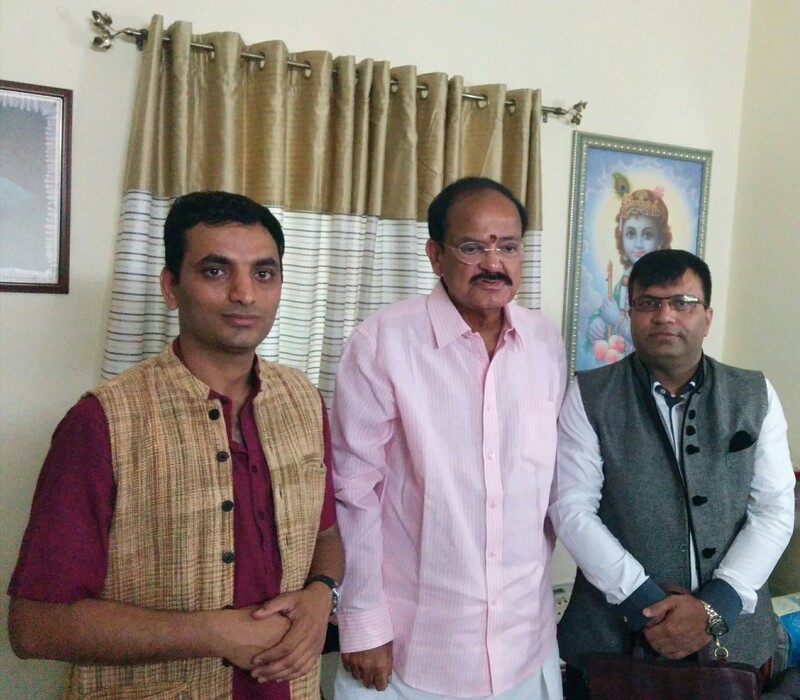 Shri Venkaiyah Naidu was the first among the top leadership of BJP to visit Australia and gave OFBJP Australia the privilege to host him for a lunch. His words of motivation injected just the right dose of stealth, motivation and confidence required for OFBJP Australia in its endeavor towards one of its key goals – which is to serve Indian community in Australia. True to our Indian culture, both the leaders had nothing but good wishes and blessings for OFBJP Australia. The occasion provided another opportunity for Heads of various OFBJP teams around the world to meet on single podium. Not only ideas and updates on various activities within their respective countries were shared, but it ushered further co-operation among OFBJP teams in the future in their activities to support for BJP. Overall, OFBJP Australia is delighted and honoured to be part of the momentous occasion. It was one of those ‘I was there’ moments, essence of which is realised after decades when the nostalgia sets in.